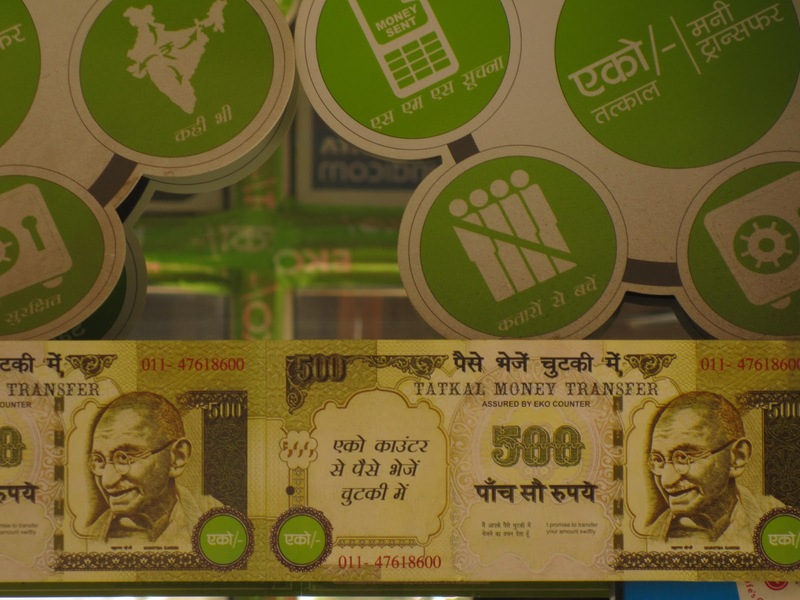 IMTFI fellow Ishita Ghosh (along with her colleague Kartikeya Bajpai) studied the mobile banking partnership between the State Bank of India (SBI) and Eko in the bank-led regulatory environment in India. The following post reflects on her research findings. Part One of Ishita's post can be found here. The State Bank of India (SBI)-Eko partnership started off with their flagship savings product. What Eko realized very early on is that while there was a demand for savings products and services amongst unbanked and underbanked populations, this seldom translated into actual uptake and usage. Eko believes that this can be rectified with adequate awareness programs, which also include specific financial literacy measures in order to drive the use of savings accounts. Eko and the SBI have as yet been unable to arrive at a consensus as to who should bear the responsibility (and the costs) of promoting this awareness amongst potential savings customers. Both institutions believe that the other is better equipped to undertake this drive. Savings are generally understood as beneficial towards building assets and smoothing consumption volatility, but require initiative, discipline, and restraint, and are thus driven by a more implicit need, especially amongst low-income populations. What this means is that while potential savers feel the “need” to put money aside for future consumption, they may be unable to immediately meet this need within the constraints imposed by their limited, and often irregular, income streams. It becomes especially challenging to put money aside towards savings when money is running low or money management is wanting. During our fieldwork we met people who referred to expenditure shocks (such as a sick husband, which results in the loss of a main source of income, or the wedding of a daughter, which entails high expenses) as a primary cause for their low savings activity. Still, customers may sign up for mobile savings accounts whether or not they are able to sustain any activity on them in the future. Indeed, Eko observed that in the initial days after the launch of their savings product, many new customers were signing up for the accounts in response to marketing campaigns. For the first couple of years, SBI-Eko had waived transaction fees on the accounts, and deposit-withdrawal activity on the accounts was high. However, when the fees were reinstated, Eko observed a sudden drop in account activity across the country. Currently, there is almost negligible activity on the savings accounts, with some of the agents informing us that they hadn’t seen any savings customers in months, while their accounts remain open but dormant. Evidently, signing up for a savings account and registering actual activity on it may be two very different things. Still, financial service providers, and certainly SBI and Eko, continue to regard account opening as the sole success metric of their savings product. For one-time financial services such as remittance services, each transaction can be counted as it completes, and therefore the frequency of transactions can be the sole gauge of the service’s success. The savings service however, is made up of two separate transactions: a one-time registration process, and then subsequent activity on the accounts. Ideally, the success metrics of a savings product will take into account both uptake as well as usage, since uptake may not always translate into usage. With respect to remittances, Eko soon realized that there was a natural uptake for the product on the mobile platform. In fact, remittance services are driven by a more explicit and immediate need; a safe, convenient and reliable remittance option will be utilized almost immediately by a customer who needs to remit money. Eko’s remittance product is especially popular in Delhi, which is the national capital of India and a commercial hub, and therefore attracts a large population of migrant workers from neighboring states, as well as from the rest of the country. Frequently, these migrant workers will tend to travel without their families, and will therefore remit money regularly back to their native villages or towns. Even if these migrant workers have travelled with their immediate families, they will almost always have kith or kin back in their native villages to whom they will need to send money at some point in time. The migrants will commonly own a SBI account, given the bank’s strong rural outreach. Therefore, remittance counters at the SBI branches in New Delhi tend to be very busy, with the queues comprised primarily of migrant workers who want to send money back home. Consequently, SBI offloads its remittance traffic to Eko’s retail points. For the customers, this means a trade-off between cost and convenience. Customers can choose to battle the long queues at SBI, and pay the substantially lower service fees to remit money (SBI charges a flat rate of INR 25 per transaction, whereas Eko charges INR 100). Moreover, remittances sent over Eko’s platform are capped at INR 10,000 per day, in effect restricting the customer base to predominantly lower-income users. As an Eko agent in Delhi pointed out, their customers frequently elect to pay the higher fees in order to avoid hours of waiting at the bank branches, which results in missing work or wasting time, particularly pertinent for daily wage earners. In conclusion, the implicit versus explicit demand for savings and remittance services respectively affects their uptake and usage on the mobile platform. Without adequate financial literacy measures, it is hard to drive the usage of savings accounts amongst low-income populations, although they may be convinced to sign up for the accounts through aggressive marketing campaigns. In contrast, low-income populations with a very real need to transfer money may be willing to pay the cost of a safe, reliable, and convenient remittance option. Indeed, as Eko quickly realized, this can be achieved with negligible investment in marketing efforts. See their note in the ICTD conference 2013 close-out documentation.